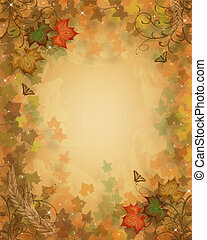 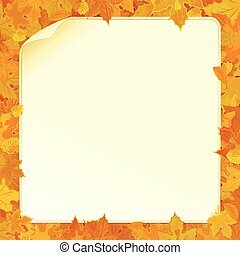 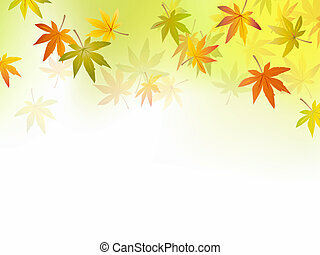 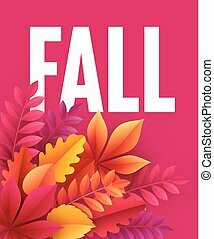 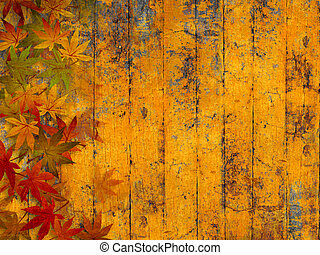 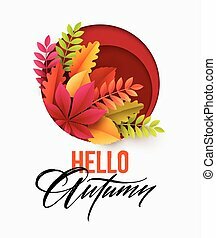 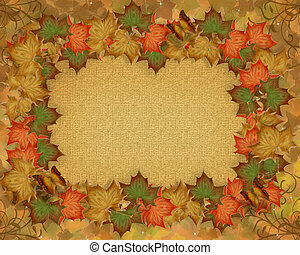 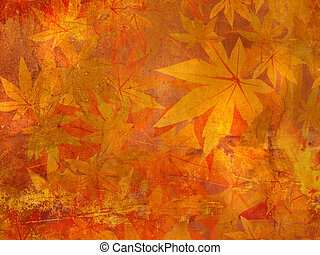 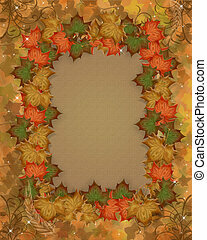 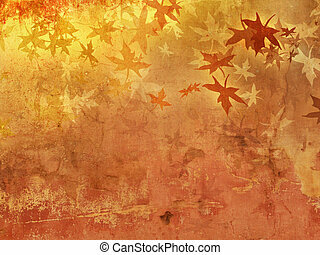 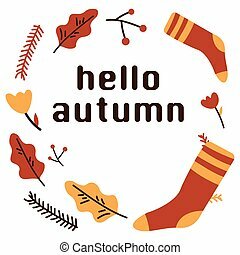 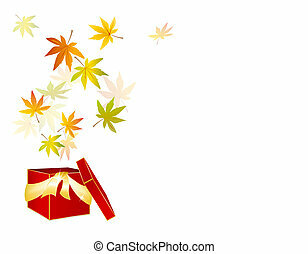 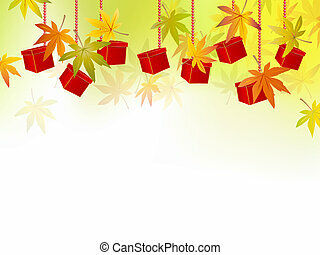 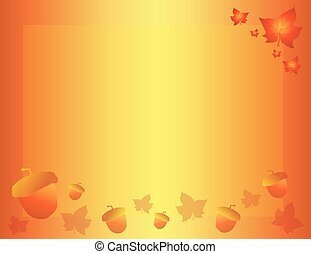 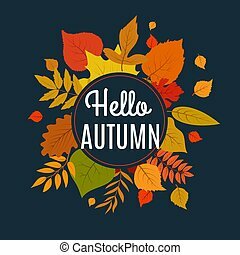 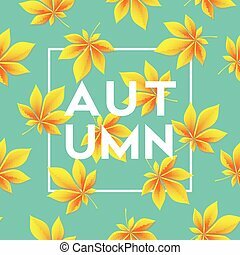 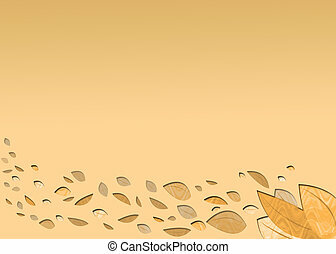 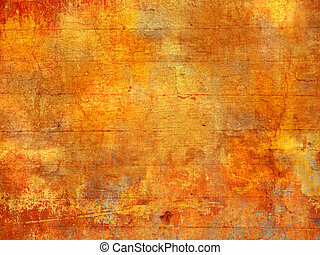 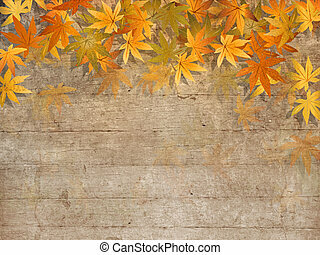 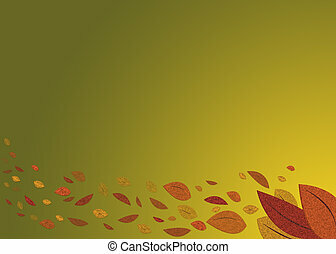 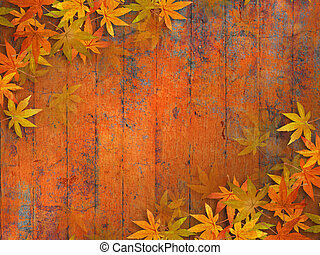 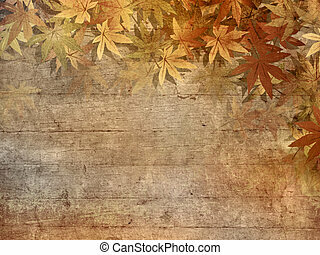 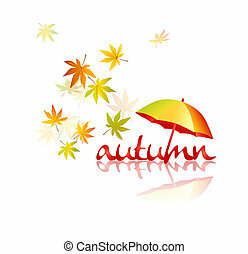 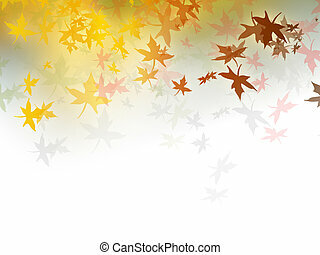 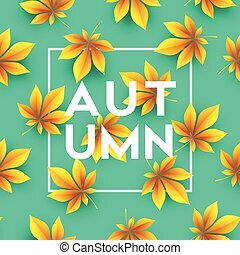 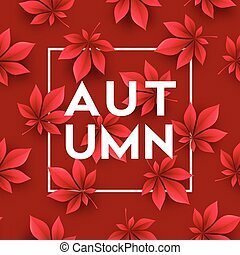 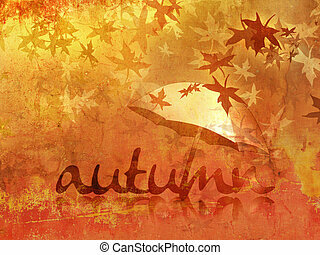 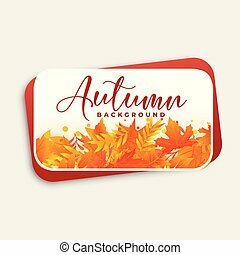 Autumn background with fall leaves. 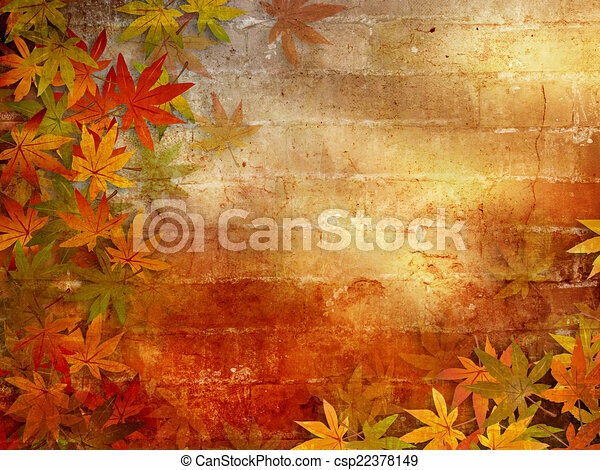 Fall leaves border against brick wall with sunlight effects. 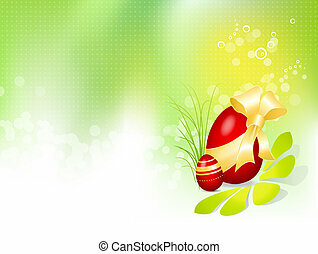 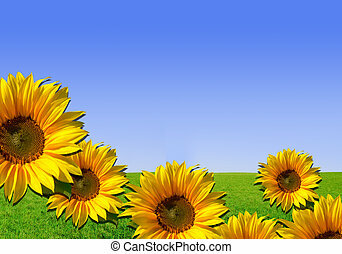 Photo composition: Nature background with yellow flowers.